(iii) Other pending issues related to National and Departmental Anomalies. 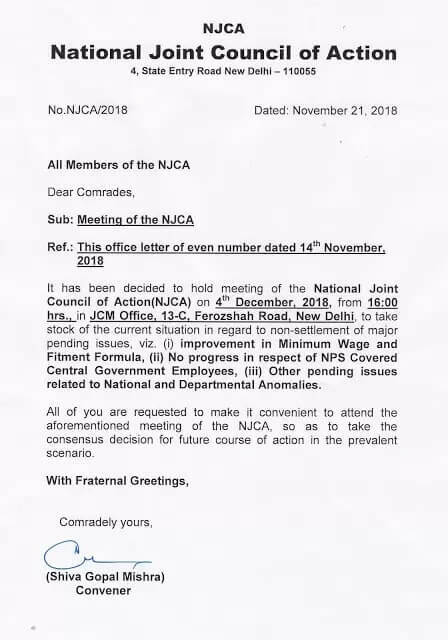 All of you are requested to make it convenient to attend the aforementioned meeting of the NJCA, so as to take the consensus decision for future course of action in the prevalent scenario. 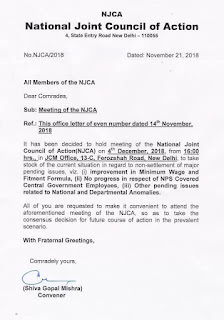 (i) Improvement in Minimum Wage and Fitment Formula (ii) No Progress in respect of NPS Covered Central Government Employees (iii) Other pending issues related to National and Departmental Anomalies.